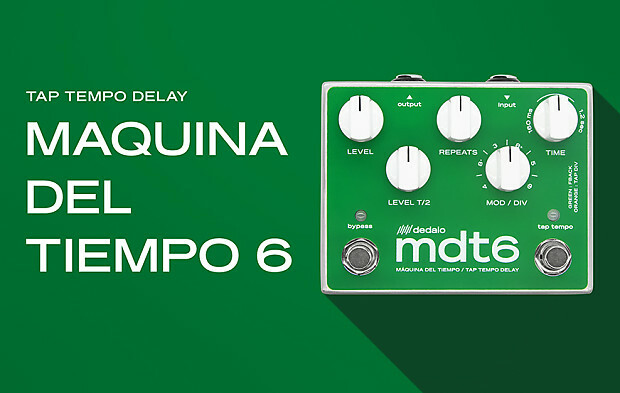 The legendary sound of a tape echo and the Tap Tempo technology are combined in this delay generating machine. Create ambience, spaces, rhythmic pattern subdivisions, and do ad-infinitum repeats with the Feedback control at your feet. 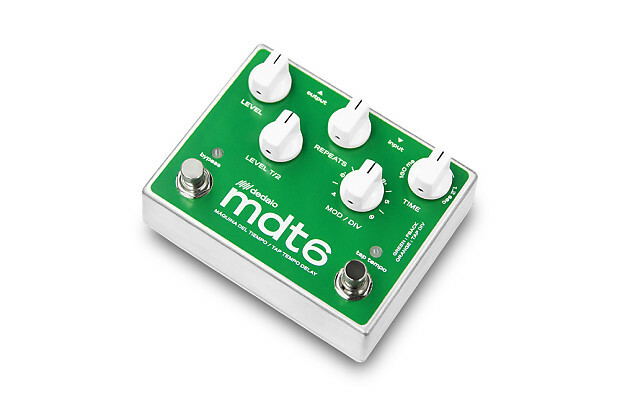 Be sure to check out the demo by Andy from ToneReport / ProGuitar Shop @ their site! Just like a two-head tape delay unit, the MDT has two delays that run together, with two chips being fed in series (one after another). Each chip provides up to 600ms of delay, which allows us to get up to 1200ms in total. At the output of the first chip, the tone of the repeats is clear and cleaner, perfect for rhythmic delays or when you want it to cut in the mix. At the second chip, the repeats are darker sounding and with more analog saturation, which increase gradually in each repeat. Perfect for all kinds of ambients and shoegazing. When both are combined new sounds are obtained in a superposition of rhythmic echoes, in particular when using the special subdivision options. Since 2003 creating new sounds! Listing price includes international tracked shipping.